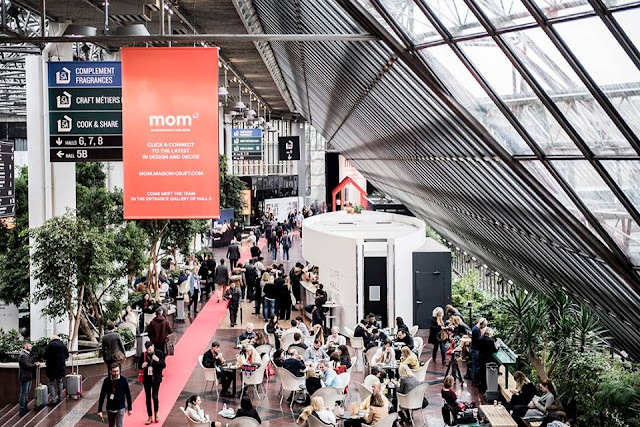 If there's one important thing that has to be on the calendar list of architects, interior designers, and design enthusiast, it is the furniture fairs around the world. Although there are more than 50 such events we have compiled a list of the most important and the top events for you. These events will enhance your thoughts with new ideas, new skills, inspiration, meeting new people, and going beyond your comfort zone. The most important interiors fair of the year - IMM Cologne shapes the furniture and design sector and the products that are good for business in the coming year. At the fair, you will find a unique variety of interior design ideas for every room, every style, and every requirement – from the basics all the way to designer items and luxury furnishings. It is regarded as a market-leading furniture show that showcases a huge breadth and depth of products. 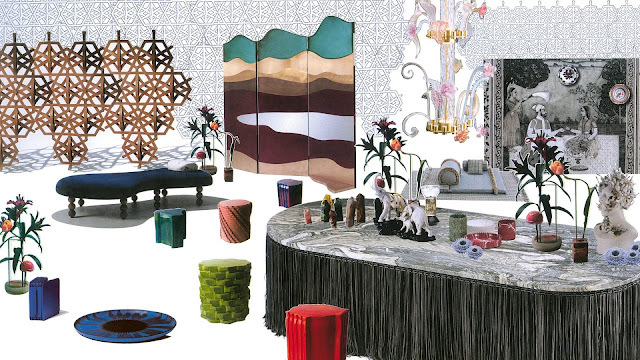 The IMM Cologne also provides an effective platform for up-and-coming designers. The show is extensive and covers living room, bedroom and bathroom furniture, mattresses, sleep systems, home textiles, wall coverings, floor coverings, lighting, accessories as well as bathroom fixtures and fittings. The interior designers, architects, designers, planners, interior decorators attend the fair. The fair gets more than 100,000 visitors from around the world. Dates: 14th to 20th January, 2019. Cologne, Germany. Started in 1961, Salone del Mobile also known as Milan furniture Fair has grown on to be the largest trade fair of its kind in the world. The fair will witness more than 2,000 exhibiters, expects more than 300,000 visitors from over 165 different countries. At the 57th edition of the fair, there will be an International Furnishing Accessories Exhibition, which will be split into 'classic' and 'design' sections. This year will be the return of the biennial events EuroCucina/FTK (Technology For the Kitchen) and the International Bathroom Exhibition, which take place in even years; Euroluce and Workplace3.0 are held in odd years. There's also SaloneSatellite, which is dedicated to young, emerging designers and serves as a launch pad into the world of design. Workplace 3.0 is another innovative display area dedicated to design and new technologies to re-design the different workplaces. The fair will showcase never-before-seen innovations, new materials, colour trends, cutting-edge design thinking, breakthrough styles, novelty in engineering and manufacturing. The event combines design, technology, flexibility, and sustainability. 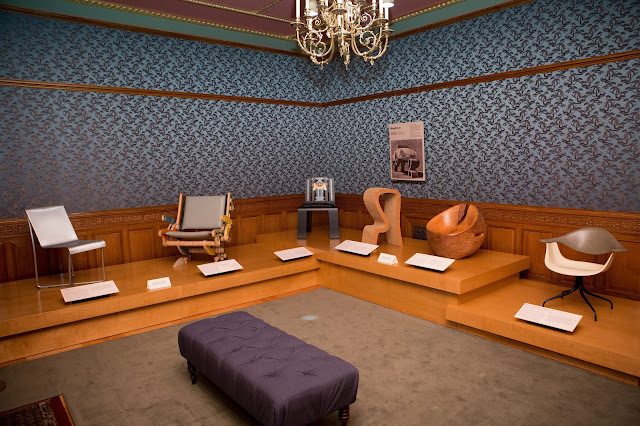 This show is a must-visit for any design lover. Dates: 17th - 22nd April, 2018. Milan, Italy. New York City’s annual celebration of design, attracts hundreds of thousands of attendees and designers from across the globe. The citywide celebration of design includes exhibitions, installations, trade shows, talks, launches and open visits. NYCxDesign highlights all the disciplines of design that New York has to offer, from architecture, lighting, and furniture to engineering and graphics. NYCxDESIGN invites local and global designers, organizations and other establishments interested in creating a design-related happening to participate in the celebration. 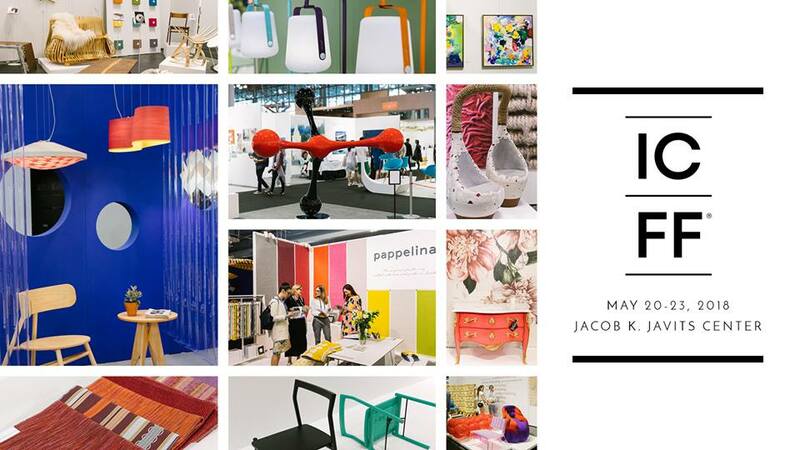 Most NYCxDESIGN events are free to enter. The event takes place paralleled with International Contemporary Furniture Fair at the Javits Center, along with the local talent showcases Wanted Design (shown), in Manhattan and Brooklyn. 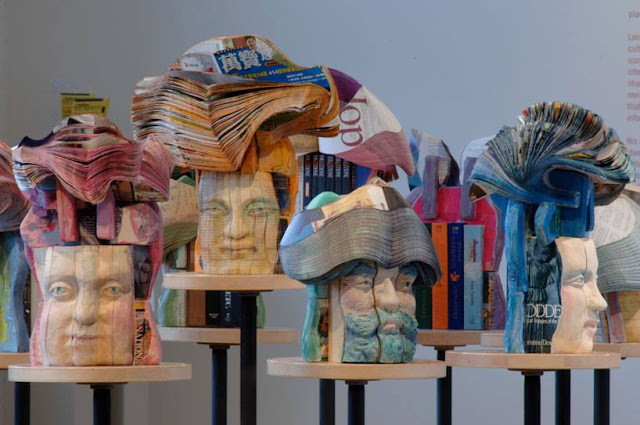 Collective Design and the Frieze Art Fair also run concurrently. Dates: 11th – 23rd May, 2018. New York, USA. The International Contemporary Furniture Fair is North America's platform for global design and regarded as the ‘Salone of America’. The four-day fair is held at New York City’s Jacob K. Javits Convention Center. More than 36,000 interior designers, architects, retailers, representatives, distributors, facility managers, developers, manufacturers, store designers, and visual merchandisers flock to attend the event showcasing exhibitions from over 30 different countries. After Milan, it’s at the top of the list of must-see fairs. Focusing on high end and creative design, the fair is ripe for all kinds of new discoveries as many makers and brands launch new designs at ICFF. Tens of thousands of designers visit the fair to stock their stores and furnish their clients’ homes, and will be there right along with them bringing you the newest designs to delight and inspire. This event is also home to the ICFF Studio, a competition for designers with impressive prototype designs which are not yet in commercial production. The first three days of the event are trade-only days, and the fourth day is open to the general public. More than 800 exhibitors from all points of the globe will display contemporary furniture, seating, carpet and flooring, lighting, outdoor furniture, materials, wall coverings, accessories, textiles, and kitchen and bath for residential and commercial interiors. Dates: 20th - 23rd May, 2018. New York, USA. Another forum for design, Design Miami is where the top gallerists, designers, curators, and critics from around the world gather to present museum-quality exhibitions of 20th and 21st century furniture, lighting and objets d’art. The show has quickly become one of the premier venues for collecting, curating and exhibiting high-end and coveted design pieces. 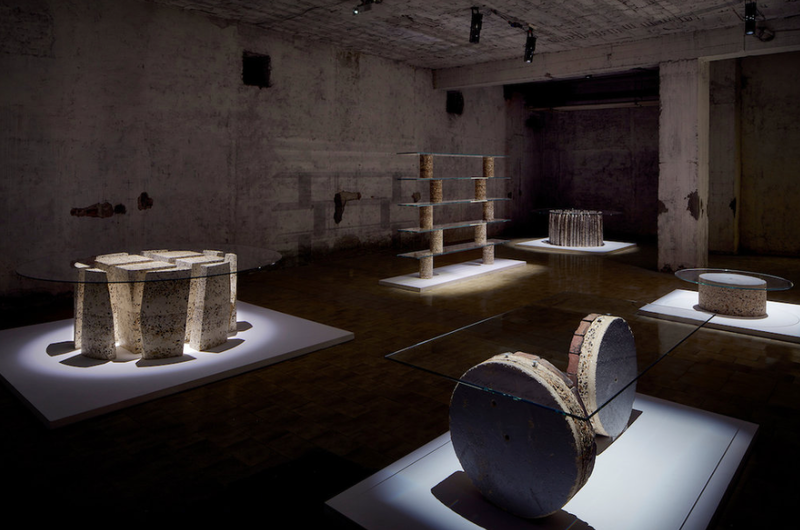 Design Miami has also gained an international reputation since its inception in 2005 and has since expanded to Basel, Switzerland. Dates: 12th - 17th June, 2018. Miami, USA. NeoCon is North America's most important design exposition and conference for commercial interiors. Held every June at The Mart in Chicago since 1969, NeoCon serves as the commercial design industry’s launch pad for innovation—offering ideas and introductions that shape the built environment today and into the future. The fair showcases the latest in office furniture, building materials, lighting, and textiles. Every year, nearly 50,000 design professionals visit this massive furniture and interior design fair featuring hundreds of top design brands. Attendees can also choose from over 100 free seminars during the fair. With so much time spent in workplaces, office design has grown in importance and popularity, making NeoCon one of the most highly regarded and attended trade shows in the industry. The show focuses the evolving commercial design and trends. In fact, 2018 is NeoCon’s 50th anniversary as the show for contract, hospitality, and commercial or workplace professionals and designers. Maison et Objet is a highly regarded event for professionals working in the art of living in all its rich and varied expressions. The lifestyle show offers an eclectic mix of design, furniture, accessories, textiles, fragrances, tableware and bringing together a 360° product offering. The styles coexist in a multifaceted way, throughout the inventive show design which enlivens the spaces. This biannual fair is growing stronger every year, the last edition welcoming over a thousand exhibitors and more than 100,000 visitors. Held in Paris, for the design world, this is perhaps the best show for design inspiration in the world. Held in January and September, in conjunction with Paris Design Week, lot of architects , interior designers and design enthusiast come to see the latest trends and order the hottest looks for their design clients and retail stores worldwide. It is an exhibition dedicated to the design of decoration, furniture, gastronomy, fashion, the art of living and art. Overall, Maison&Objet is one of the leading venues for interior decoration, concept and retail, as well as luxury, design and architecture. January 18th – 22nd, 2019. Paris, France. 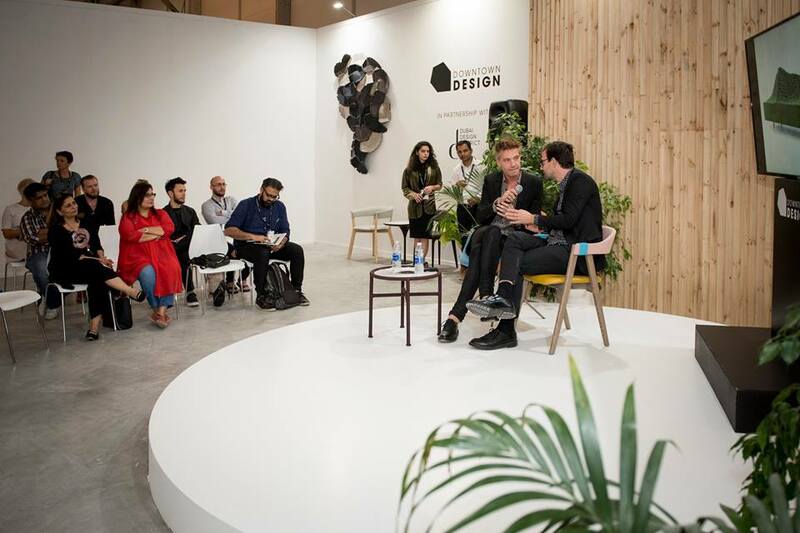 London Design Festival is an annual event, held to celebrate and promote London as the design capital of the world and as the gateway to the international creative community. Within the ambit of London Design Festival, come fairs like 100% Design (UK's largest design trade show with distinct sections including interiors, design and build, kitchens and bathrooms, workplace and emerging brands) and Decorex International (on luxury design, art and craft). The London Design Fair is a popular trade show open to both trade visitors and members of the public. The fair hosts the largest collection of international exhibitions, designers, brands, country pavilions, features and exhibitions in one destination during the London Design Festival. Downtown Design is the main platform in the Middle East for the region’s trade professionals to discover high-quality design from across the world. The fair takes place at the Dubai Design District and presents a carefully edited roster of established and emerging brands across a range of product categories; including furniture, lighting, bathrooms, kitchens, textiles, and accessories. Downtown Design is dedicated to providing a dynamic environment for buyers and brands to do business easily and efficiently and includes a number of industry talks. Dates: 13th -16th November, 2018. Dubai, UAE. Ambiente is a leading international trade fair for consumer goods that sees over 4,700 exhibitors, 140,000 visitors from over 150 countries each year. It is essentially divided into 'dining' (table, kitchen and household), 'giving' (products and gifts) and 'living' (covering the future of design for home, furnishing and decorating industry). Ambiente offers experience, innovative designs, new products, and the latest trends. This is the largest consumer goods show featuring housewares, home accents and more. Dates: 8th -12th February, 2019. Frankfurt, Germany. best of luck it was a good job. Office,Home, Restaurant and Canteen furniture suppliers Dubai.We are online furniture stores USA, UAE and Southern China. https://apkchip.com Polar rating codes are: E for everyone; T for teen (age 13+); M for big (age 17+); RP for rank pending; AO for adults only (age 18+); EC for aboriginal immatureness (age 3+). These letters can be open on the box of the recording spunky and a brief statement of the table can be open at the substantiate root. Once you soul designated the occupation of your rival style according to the rank, then it is the unsurpassed moment to construe real-time reviews on it. As the judgment may sometimes cozen you a bit, these reviews from those who change already seasoned the gallinacean can devote you an literal design of the video gritty. It helps the players to accomplish their aim in diametric shipway. For a few players, unlocking an end of the Flavor Victorious strip can be their end for the gathering and the players at nowadays pauperization portion clapping in feat there. Some players are quite dictated to agitate the earlier seasons status and get in Swayer tier. There are some players who are playing to flap friends and can do anything to ensure that they end in the higher division. So, whatever your goal is, it gift serve them to succeed it. In the cost of benefits from the elo boosting, actually, there are some. Design Mart specializes in custom . They have chandeliers, pendant lamps, floor lamps, ceiling lights, table lamps, and accessories. Their styles vary from classical to modern and are inspired by their travels across the nation and the world. If you wish to shop for decorative lights in California but think that such lighting demands a large amount of cash, then Design Mart is here to break the myths. They have mastership in crafting and designing alluring lightings for every corner of your building and are the only lighting manufacturers in California having these much of designs. The artisans they employ have enough expertise and are entirely tuned in to all the most recent trends.